This Pneumatic Solenoid Driver Cable is this same driver cable that is included in the Pneumatic Kits. On one end of the Driver Cable is the standard 3 wire PWM Connector which connects to a VEX Microcontroller Digital Output. On the other end is the 2 wire Pneumatic Connector which mates directly to the Pneumatic Solenoid. 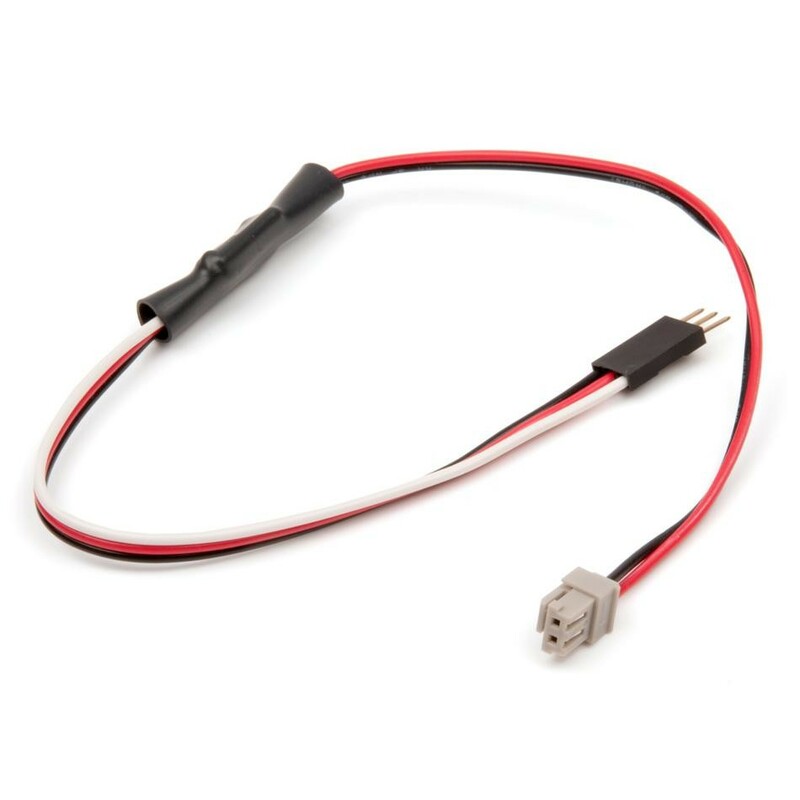 This cable takes the digital On\Off signal and controls the 5V power applied to a pneumatic solenoid. The Pneumatic Solenoid Driver Cable is rated for about 3/4 Amp and is sold as a 2 pack. You can connect the 3 pin connector of the Solenoid Driver to any of the DIGITAL Ports on the VEX Controller. The Black wire should be closest to the outside edge of the VEX Controller. Likewise, the White wire should be closest to the Keyed Slot even though there is no key tab on the Solenoid Driver Cable. You can control the two states of the pneumatics by controlling the two states of a Digital Output. By sending a High (1) or Low (0) to the defined Digital Output that you have the Solenoid Driver connected to, you will be controlling the corresponding pneumatic cylinder. To change the state of a Digital Output of the VEX Controller, you must have a Programming Kit.